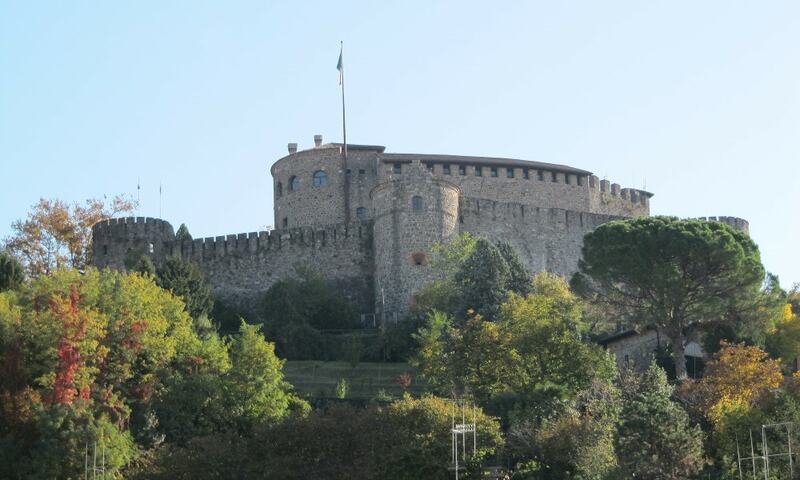 Gorizia Castle is an Italian fortification, dating to the 11th century, built on the hill which dominates the city of Gorizia from which it takes its name. The castle now houses the Museum of the Middle Ages of Gorizia. The interiors are decorated with original furniture and furnishings, and reproductions of weapons and siege engines are shown. In the central courtyard it is still possible to see the remains of an old 11th-century tower.